Tropfest Turns 25 Year Milestone! – Spotlight Report "The Best Entertainment Website in Oz"
Tropfest 25 will be streamed LIVE and exclusively on Red Bull TV from Parramatta, Sydney on Saturday, 11 February 2017 across multiple platforms in Australia and around the world, broadcasting the festival to a global audience. Red Bull TV offers free and unlimited access to the best stream and VOD covering the most interesting sports, music, culture and innovation content. In addition to Red Bull TV, Tropfest is delighted to announce Network Ten as the exclusive free to air broadcast partner of the world’s largest short film festival. The 25th anniversary event will broadcast from Parramatta Park on ELEVEN on Saturday 11th February, showcasing all the action from Tropfest’s new home featuring red carpet arrivals, interviews with celebrities and the 16 finalists’ films as we count down to the winner of Tropfest 25. The outdoor festival attracts the largest live audience for short films in the world and now with Red Bull TV on board, there is the opportunity for more people than ever from around the world to enjoy this iconic event. The Red Bull TV partnership provides a global platform to showcase some of the most exciting new careers in Australian film and television. Tropfest is delighted to announce many new partnerships for its 25th anniversary year, alongside valued partner CGU Insurance. 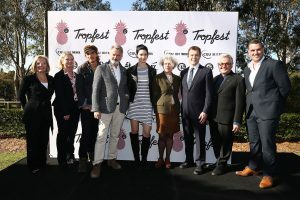 The foundation partner and naming rights partner of Tropfest has signed a new three year deal which will ensure Tropfest continues to grow to become one of most celebrated festivals in the world, showcasing emerging talent, celebrating films and sharing unique content. Following the recent exciting announcement that Tropfest will move to a new home in Parramatta in 2017, Parramatta Park Trust and the City of Parramatta have come on board as proud Strategic Partners of Tropfest, ensuring Tropfest can grow and reach new and broader audiences over the next three years (2017-2019). Tropfest will be held in the beautiful World Heritage listed Parramatta Park on Saturday 11th February in the four-hectare Cattle Paddock which can accommodate over 70,000 people. Trop Jr will be held on Friday 10th February as part of The Crescent Live summer event series, with the capacity to accommodate over 18,000 people. In 2017, Western Sydney University (WSU) Is the Program Partner presenting ‘TropTalks’, which kicks off the 5-day festival. The University’s partnership adds further strength to TropTalks, as Tropfest’s national education series for filmmakers: a series of talks covering a broad range of topics on filmmaking. TropTalks will involve Tropfest’s best-known talent, alumni and friends and the program will be rolled out across every state and territory. 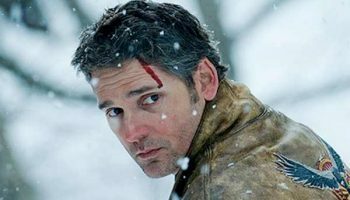 Since its inception in 1993, Tropfest has played a pivotal role in fostering the careers of some the biggest and brightest names in the film and TV industry, including Sam Worthington (Avatar), Joel Edgerton (The Great Gatsby), Rebel Wilson (Pitch Perfect), Nash Edgerton (Square), Gregor Jordan (Two Hands), Emma Freeman (Glitch), Justin Kurzel (Assassins Creed), Rob Connolly (Paper Planes) and Tropfest 2012 winner Alethea Jones whose first feature film, Fun Mom Dinner, will debut at Sundance in January 2017. Tropfest’s new business model, which is now Not For Profit, allows for Tropfest to raise money through donations and in 2017, will offer many new and exciting opportunities for filmmakers and the Tropfest fans that enjoy the annual event so much. 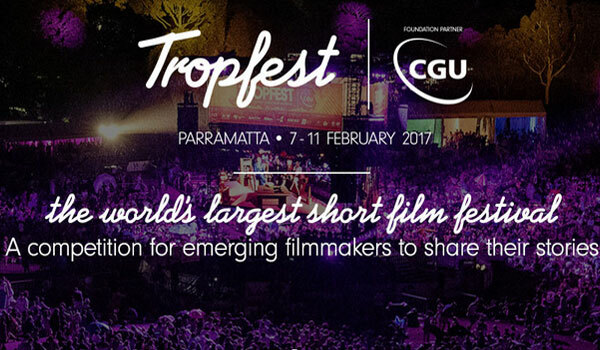 The 25th annual Tropfest will be held on Saturday, February 11, 2017.